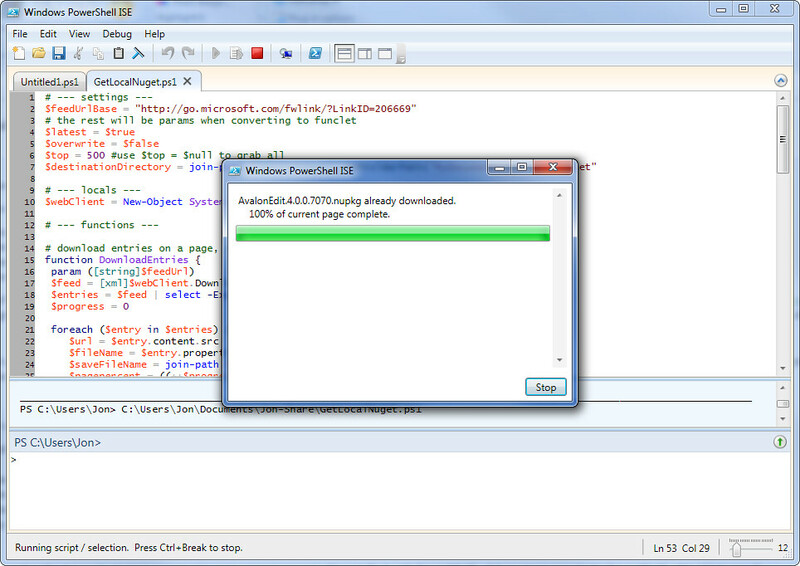 Update: This is now available as a NuGet package - NuGet.Downloader. 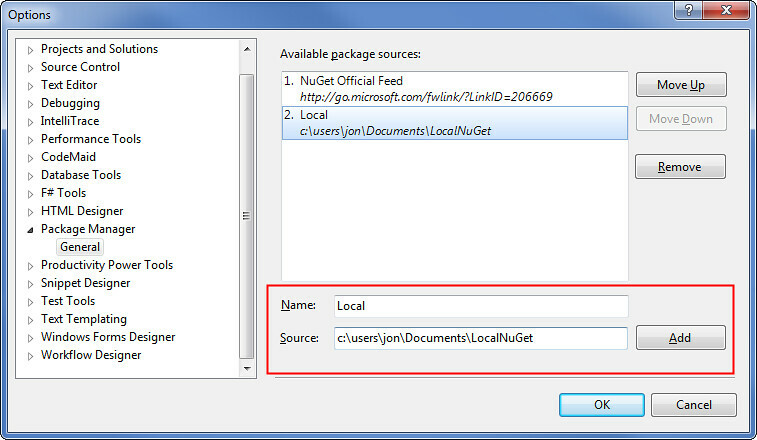 NuGet is a great way to add packages - libraries, content, and other dependencies - to your applications. It shipped with ASP.NET MVC 3 and WebMatrix, but you can use it with any .NET application type. Last November, I headed out to India for a week of Web Camps. The first three motivations listed above came into play, and I was very happy to find that a post I'd recently read by Steve Michelotti titled Create a FULL Local NuGet Repository with PowerShell did just what I wanted - downloaded a local copy of all the NuGet packages to a folder. That's great, because NuGet lets you use a folder path as a repository, so having a local copy of all the NuGet packages means I can switch between the live feed and my local cache as desired. The NuGet feed structure has gone through a few changes which break Steve's script. One of the biggest changes is that the feed is broken into pages, so it currently gives you only the first 100 packages per request. The NuGet feed has grown quite a bit - a good thing, but enough so that I don't want to blindly pull the whole feed on a whim anymore. The easiest way to use the following script (included at the end of this post) is to open it in the PowerShell ISE (Integrated Scripting Environment). It's installed with PowerShell - did you know you had a PowerShell editor/debugger? If you're running Windows 7 (like the smart developer I know you are), just tap the Windows key and type "powershell" - you should see "Windows PowerShell ISE" show up in your Programs list. Paste in the code, save it if you'd like, and hit F5 to run it. When you're done, you'll see the packages saved in your local folder. 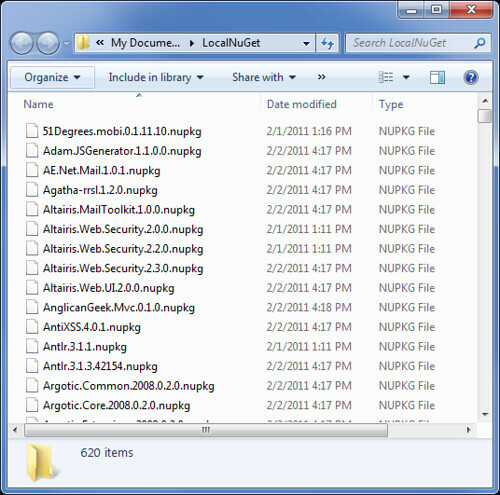 The default folder is in your profile's documents / LocalNuGet. You can also just paste this into the Package Manager Console, but you won't get any visual feedback. Here's how to add that directory as one of the repositories NuGet can pull from. First, bring up the Package Manager Settings by clicking the icon to the right of the Package Source dropdown. Then just give your package source a name and fill in the folder path as the source, as shown below. Now you can toggle the NuGet Package Source dropdown to pull from your Local repository whenever you want, or you can specify the source (using the full path) in the Get-Package command using the -Source parameter, e.g. You can read more on the Get-Package parameters in the NuGet documentation. I've been thinking about turning this into a NuGet package, so I could just grab the package, run a command, and have a local package source. Thoughts? Get-Package : File contains corrupted data. I've tested with just 1 package in my local repo and it also opens ok in WinZip so I don't think it's the package that's causing this issue. Any ideas on how I can overcome it? This would be great for the Orchard.net Gallery. Has this been been ported? to your rss feed and I am hoping you write again very soon! XlwKXk Looking forward to reading more. Great blog article.